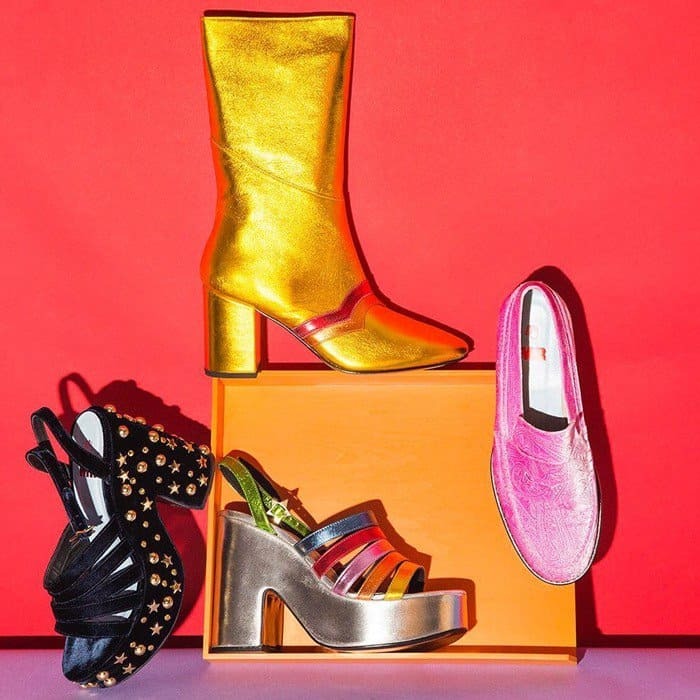 Leandra Medine, the founder of Man Repeller, is known for her uncompromising sense of style. 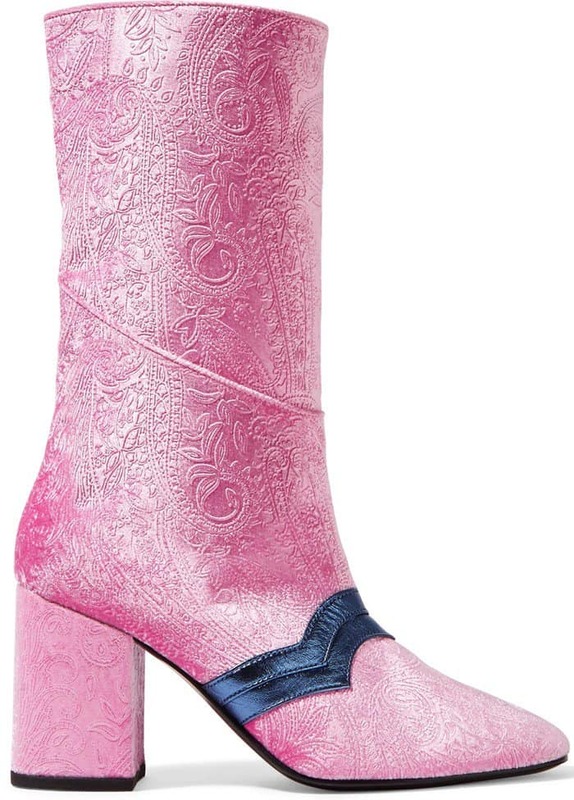 “Shoes are an incredibly escapist accessory for so many women. They’re an easy way to feel good by the simple act of looking down,” she said in a press statement. 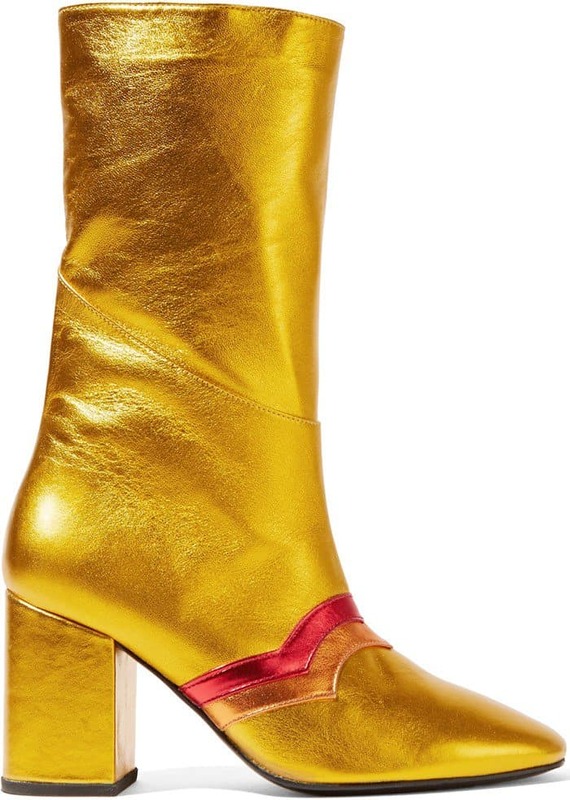 Last month she launched a ten-piece shoe collaboration with the luxury retailer Net-A-Porter. 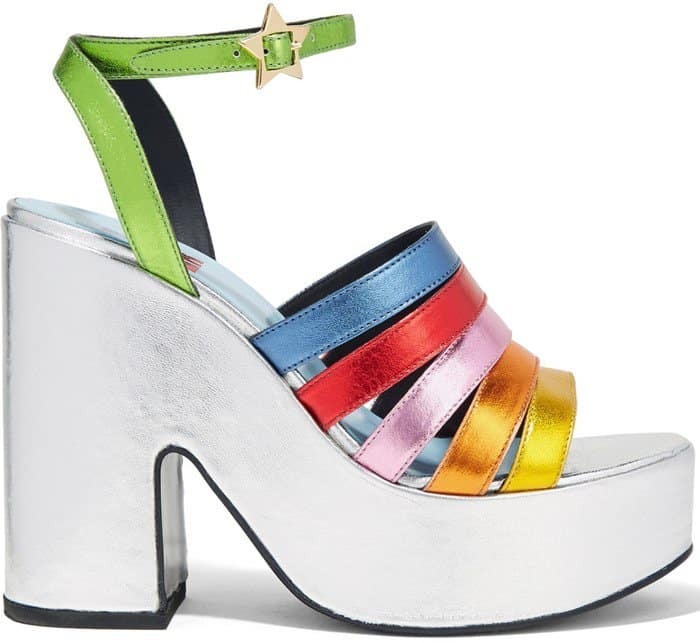 Her debut footwear collection, MR by Man Repeller, puts her signature contemporary spin on classic shoe silhouettes. 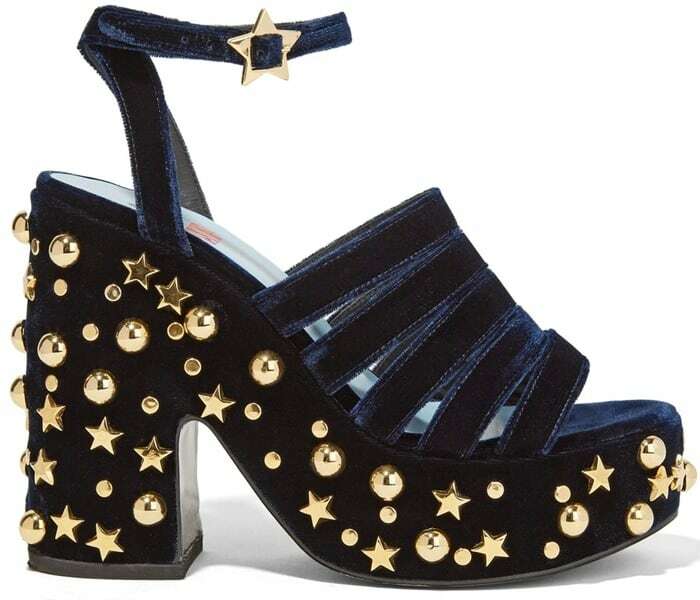 We’re sure her fans will appreciate the tongue-in-cheek names, like the ‘LOL if you think I’m Walking’ sandals. 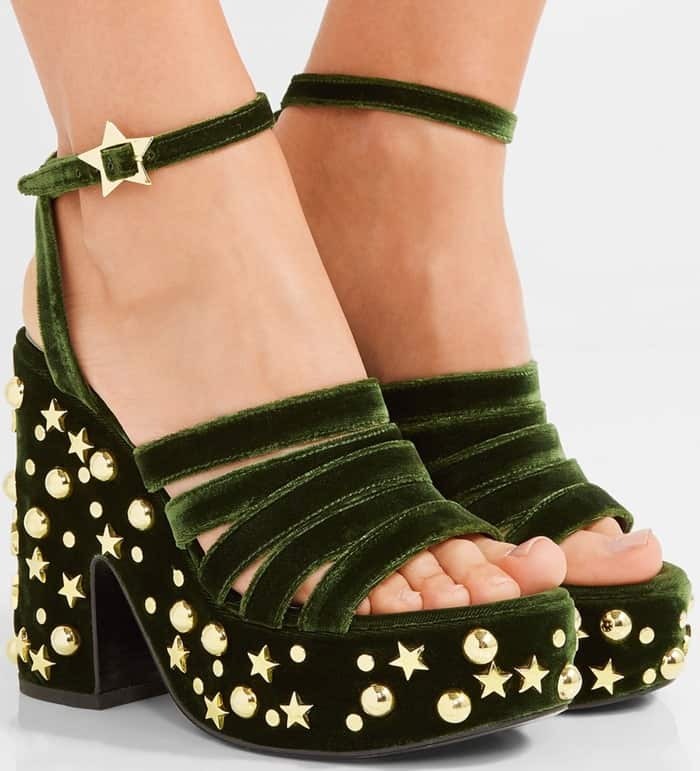 Made from plush velvet, these playful sandals are set on a chunky platform heel, embellished with scores of gold stars and studs. 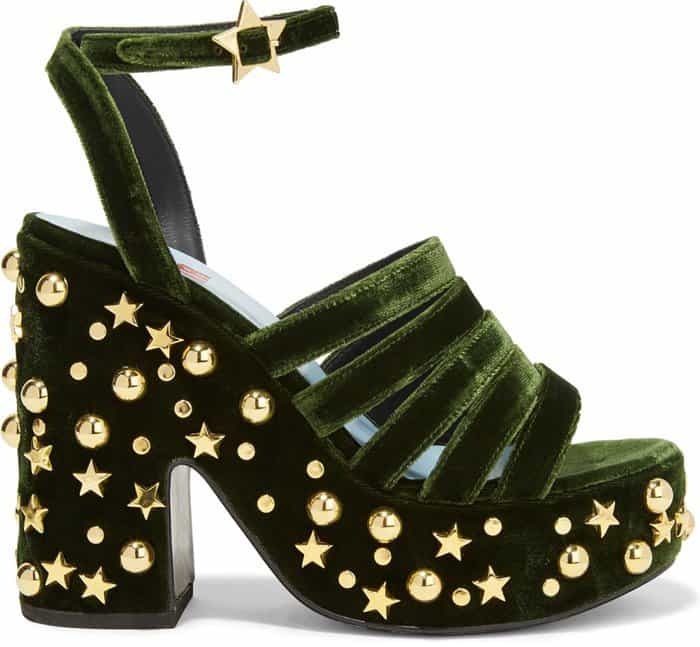 This tongue-in-cheek pair is crafted from plush jewel-toned velvet, offset by gold stars and studs. 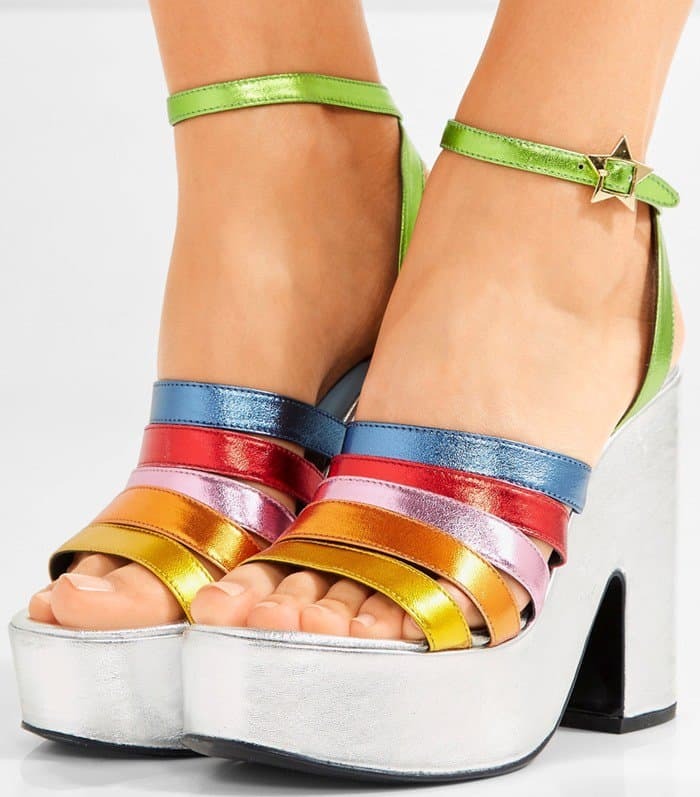 Made from a rainbow of metallic leather, these sandals have a chunky heel and platform sole. These backless flats are made from paisley-embossed gold velvet with detachable satin ties that beautifully wind around your calf. 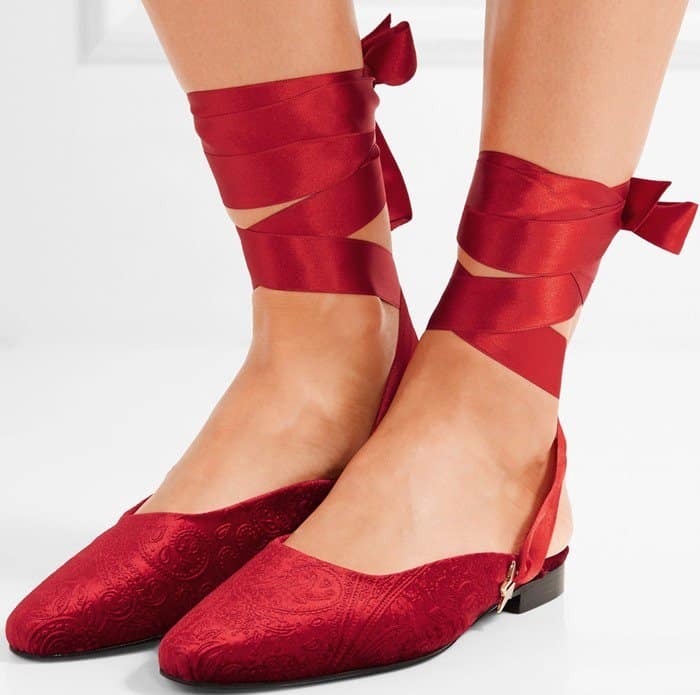 Crafted from plush red velvet, these flats are embossed with an ornate paisley pattern and finished with lustrous satin ribbons. 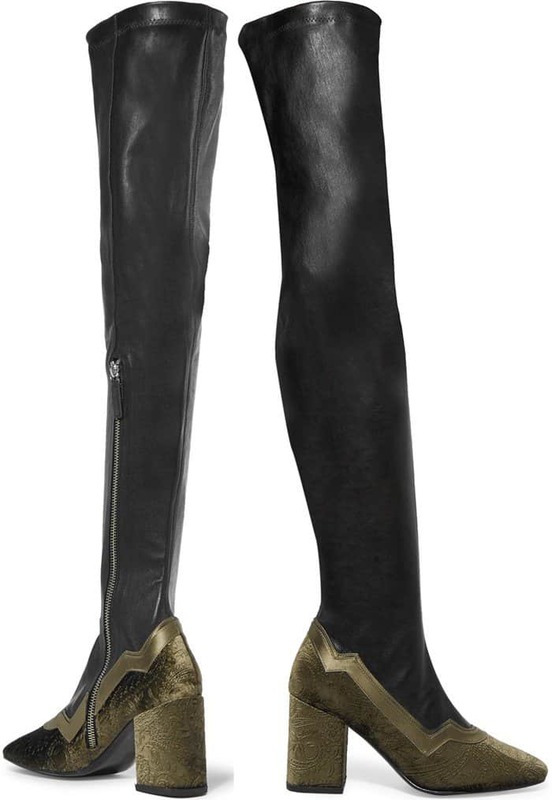 Made from soft leather and hitting above the knee, these block heel boots are trimmed with lustrous embossed velvet. 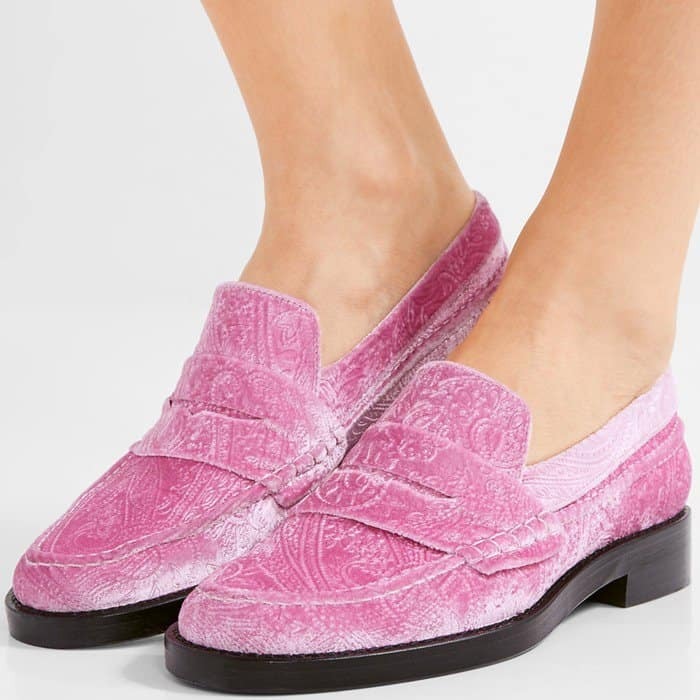 These eclectic velvet loafers are embossed with a paisley motif and have a traditional penny slot. 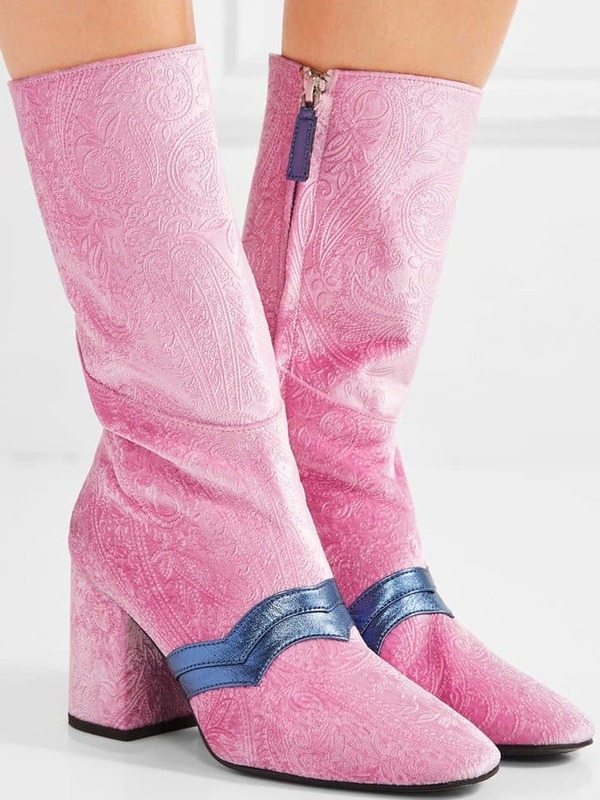 These plush velvet boots are embossed with a paisley pattern, offset by metallic navy leather trims. 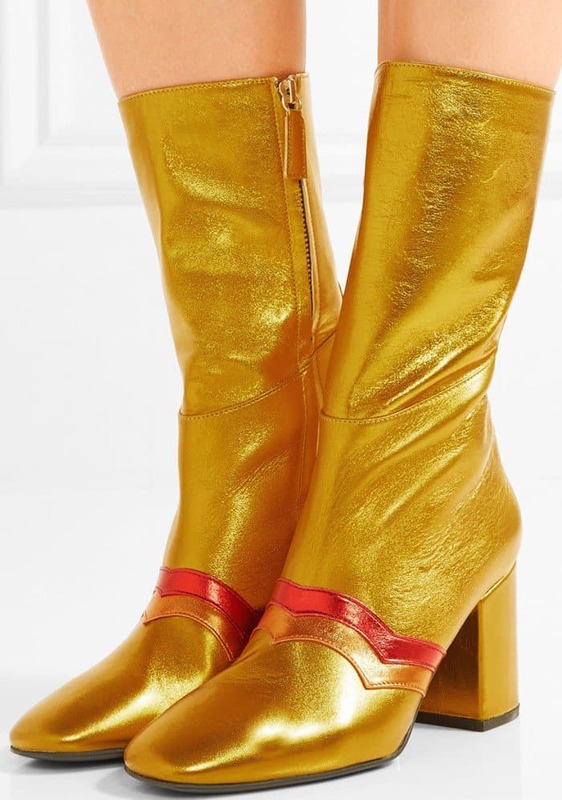 These statement boots are crafted from supple metallic leather, detailed with red and orange scalloped stripes. 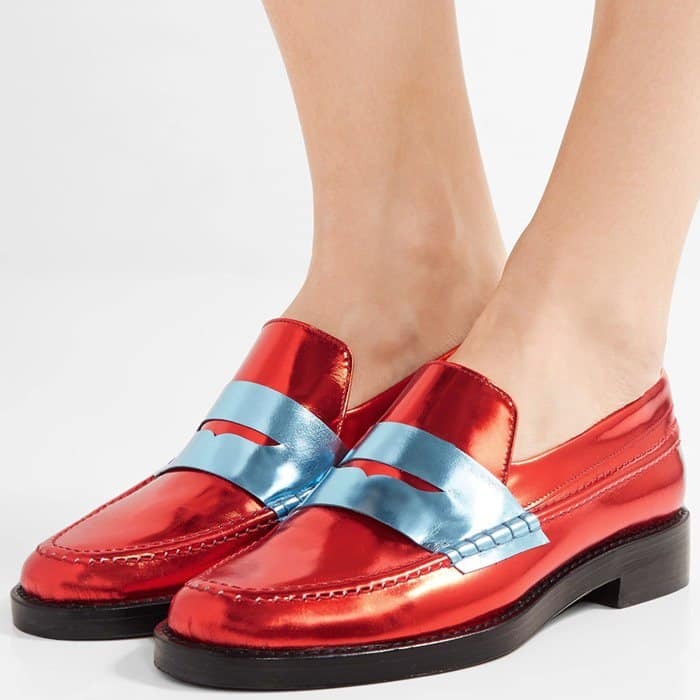 These irreverent loafers are made from red metallic leather with a blue penny slot.